Richard Feynman was one of the great communicators and scholars within the field of physics, and his very accessible lectures remain the stuff of legend. While Professor Feynman is no longer with us, physics teachers can avail themselves of the very nice resources offered at The Physics Front. 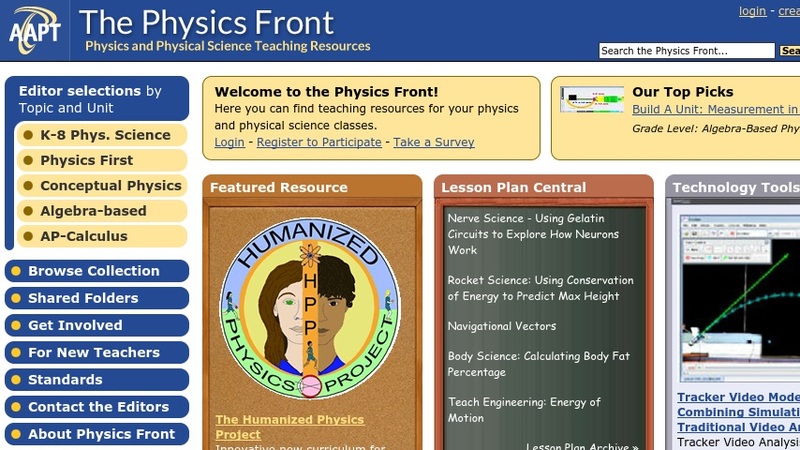 Created by the American Association of Physics Teachers and the National Science Foundation, the site contains lesson plans, activities, labs, and other pedagogical tools for physics teachers. The site also is notable for its ï¿½First Time Physics Teachersï¿½ section which contains a bit of information about the nature of teaching physics and how these resources might be best used in the classroom. The ï¿½Activitiesï¿½ area of the site is a real treat, as educators can find activities by subject, which include optics, energy, momentum, and wave energy.